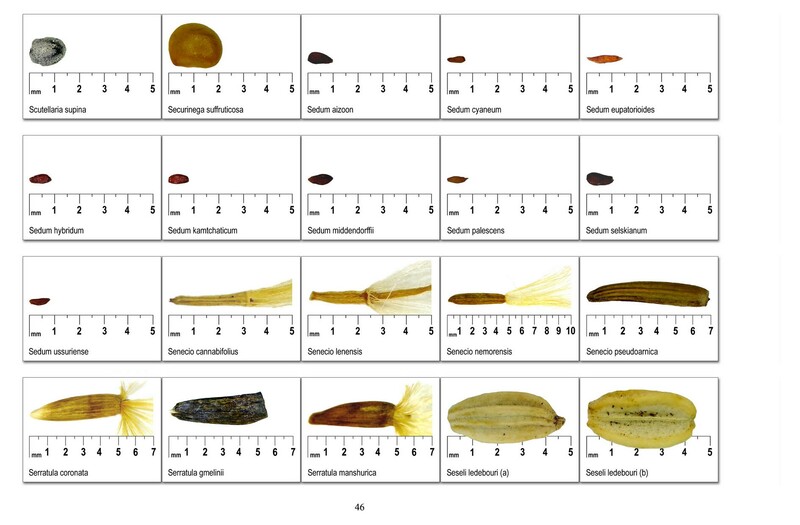 The Russian botanist, Dr. Alexandra Berkutenko, was one of our leading tour speakers (visiting 10 NARGS chapters), and had a popular mail-order seed list, as well as a recent book reviewed in our Quarterly. 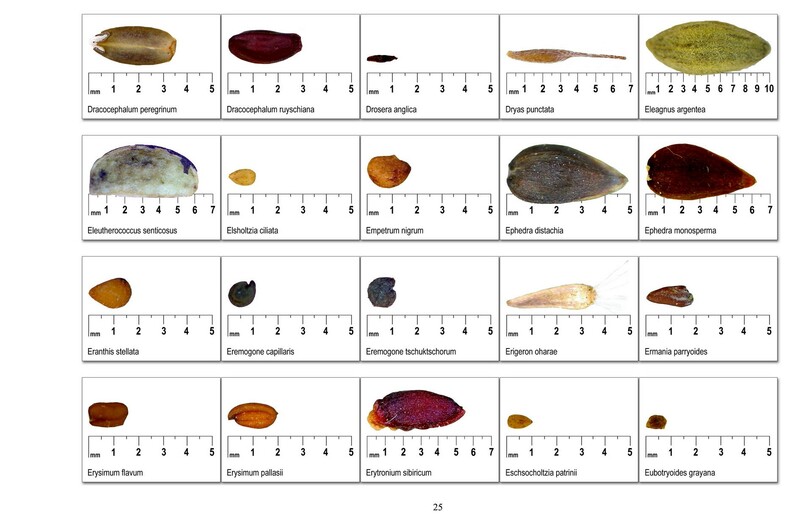 Just before her untimely death in 2014, she completed the very useful and colorful “Atlas of the Plant Seeds of the North Asia” [their translation of the Russian title]. 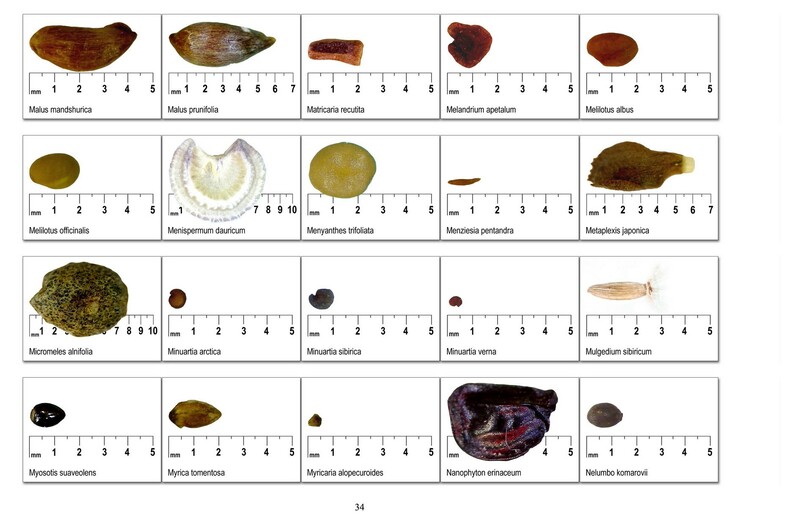 It was published in 2016. 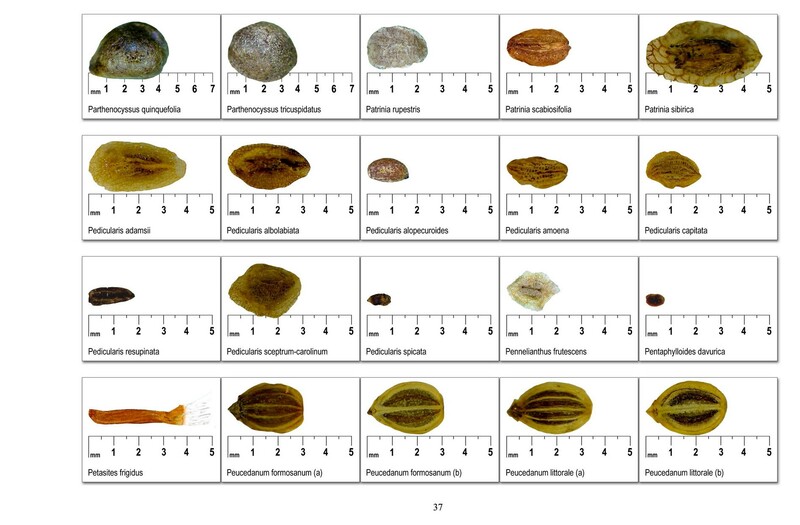 Her family (husband, daughter, and son - all botanists) have given us permission to post the photos of the seeds (the text is in Russian) on the NARGS website. 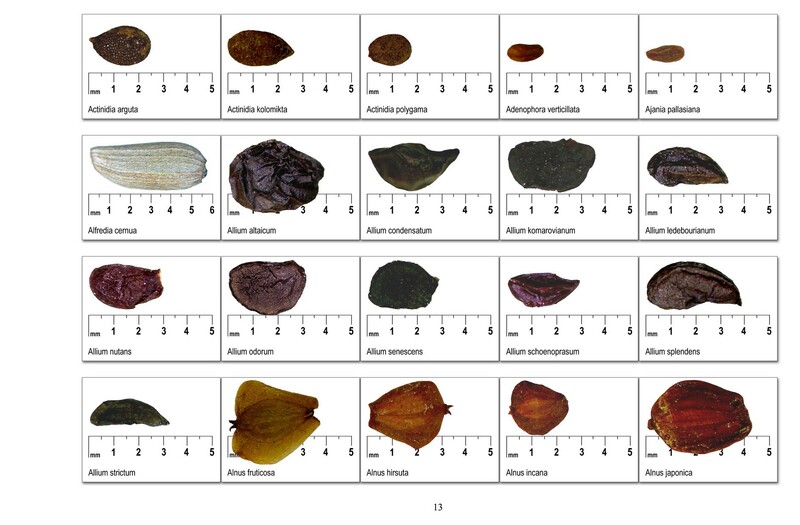 They all agreed that it would be "nice if horticulture community enthusiasts will be able to see the results of mother’s work on NARGS website." 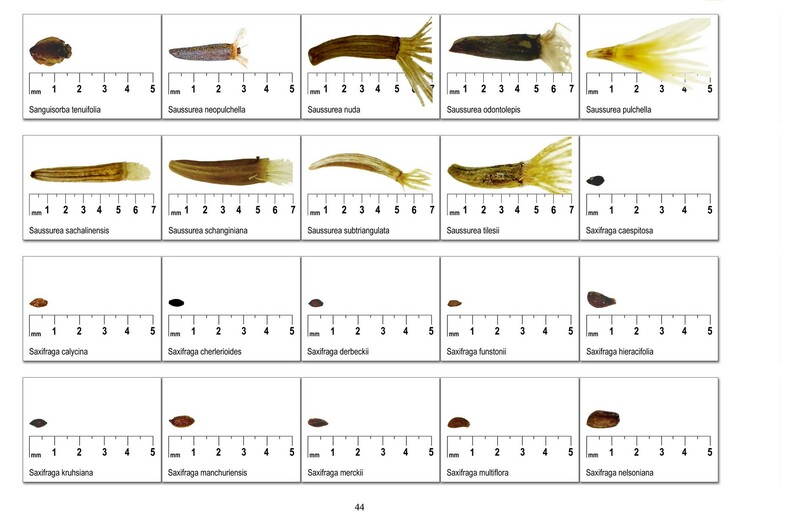 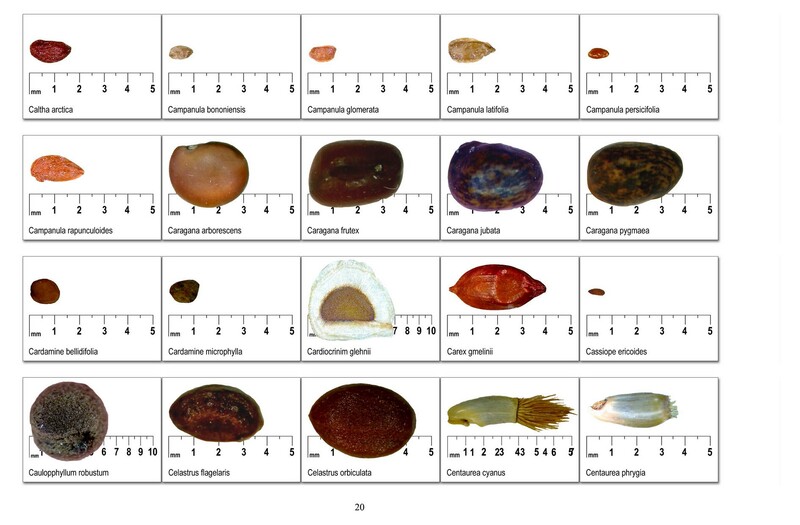 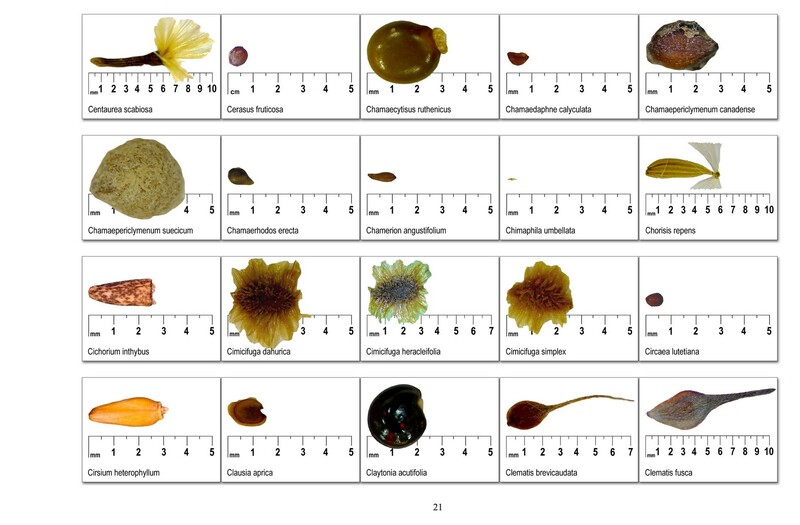 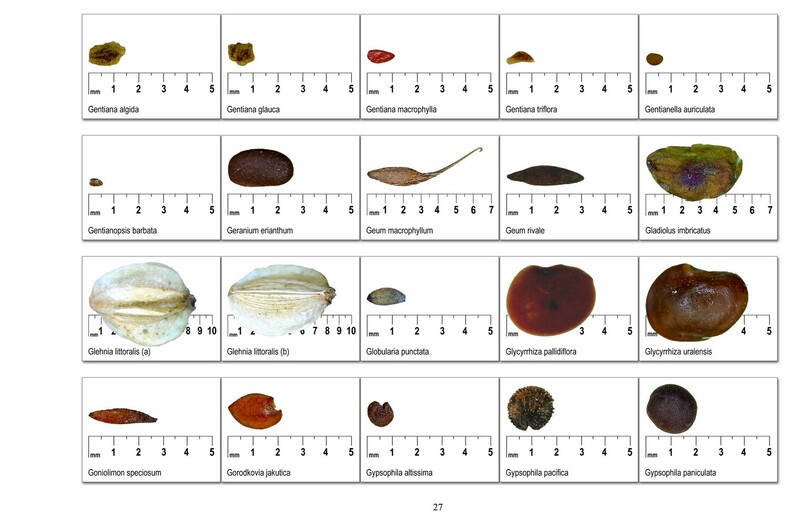 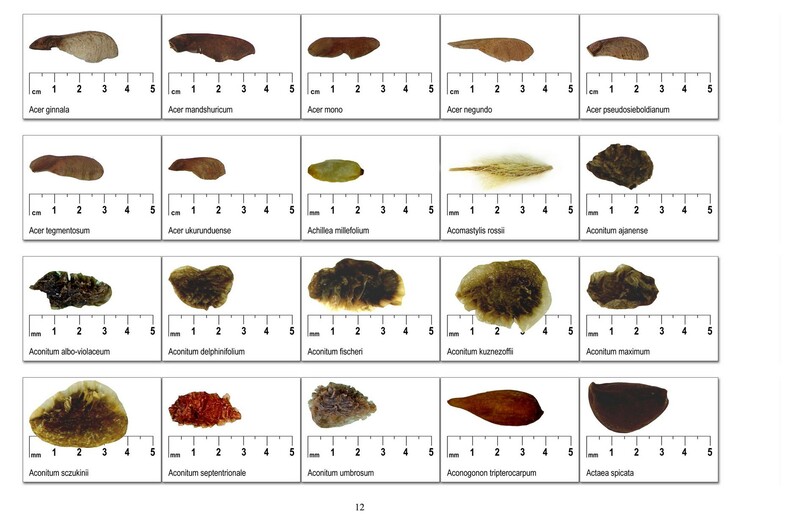 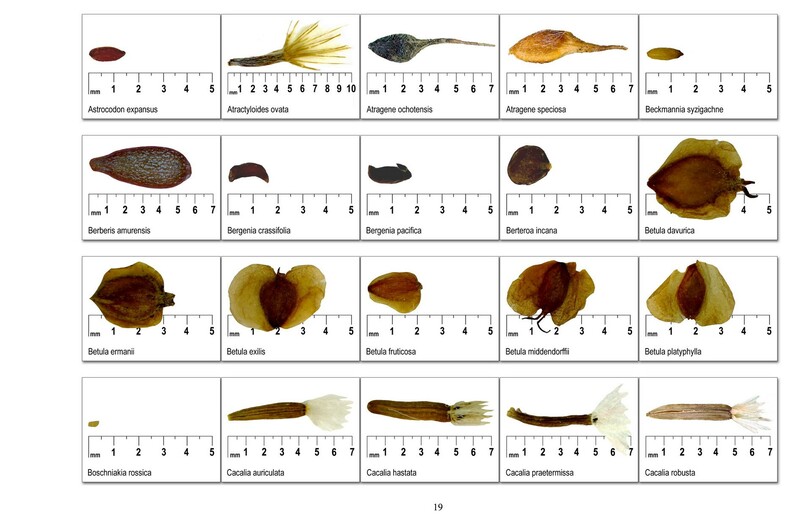 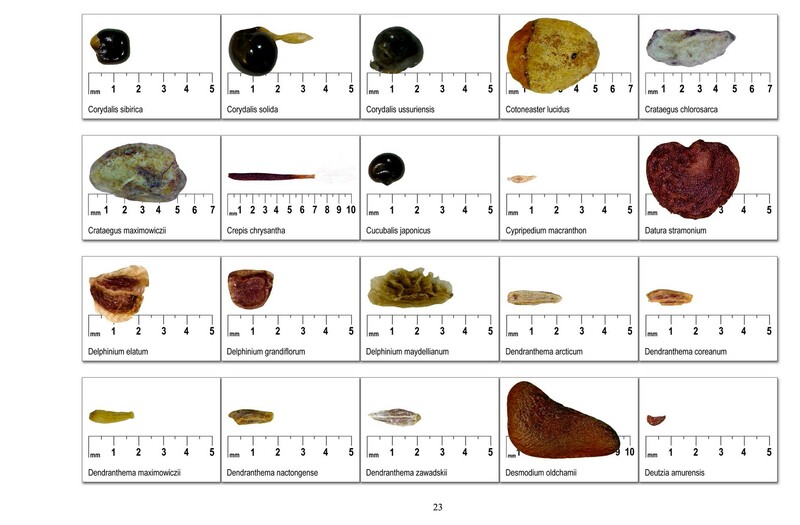 Please click on the attachment links below to view the images of seeds from her book. 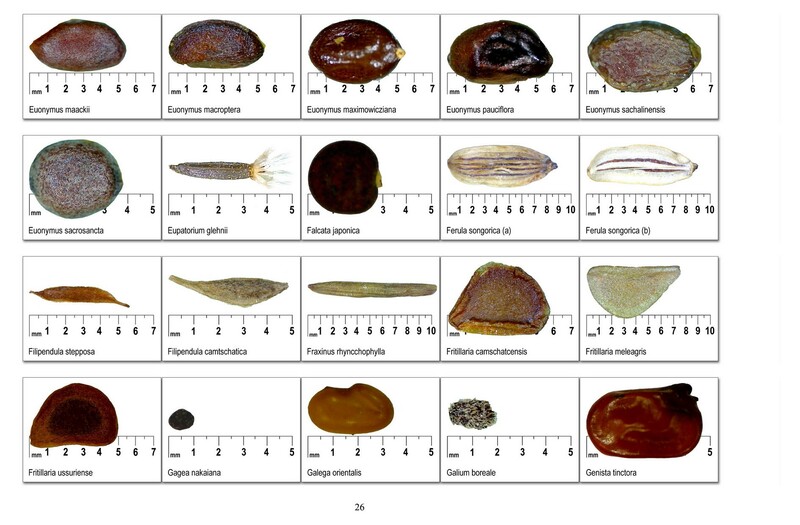 There are 20 images per page, arranged alphabetically. 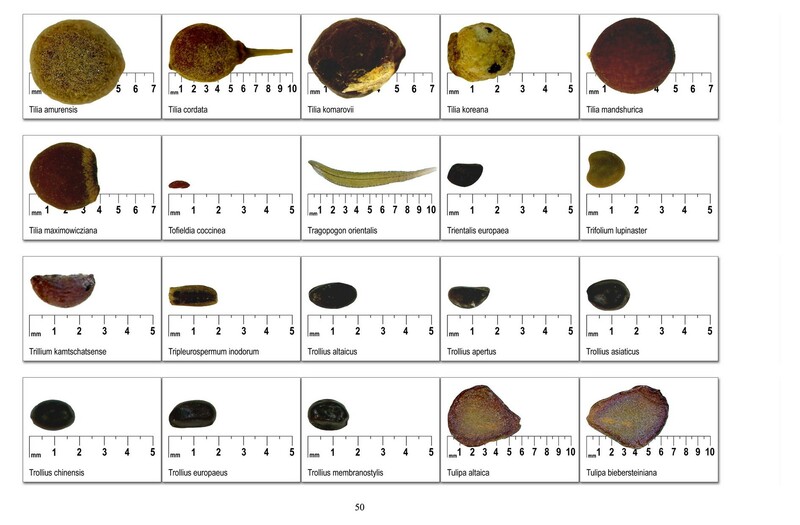 The occasional differences in spelling are due to transliteration from Cyrillic; there are also occasional differences in taxonomy (always a moving target). 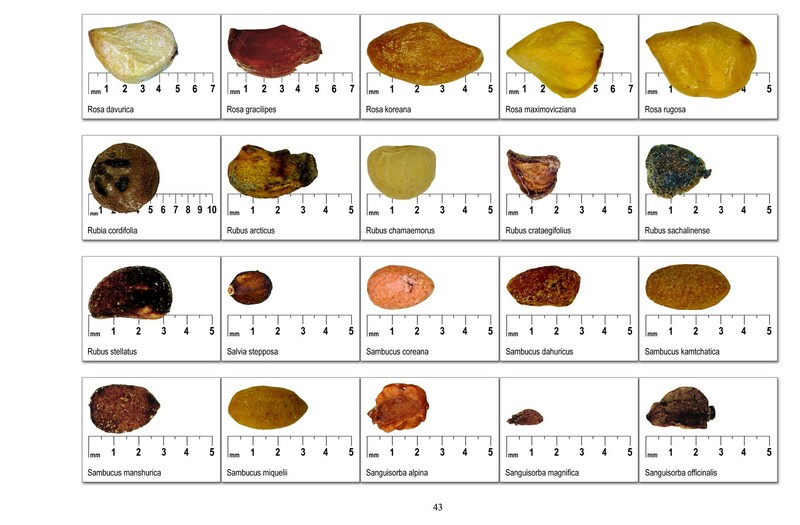 Berkutenko A.N. 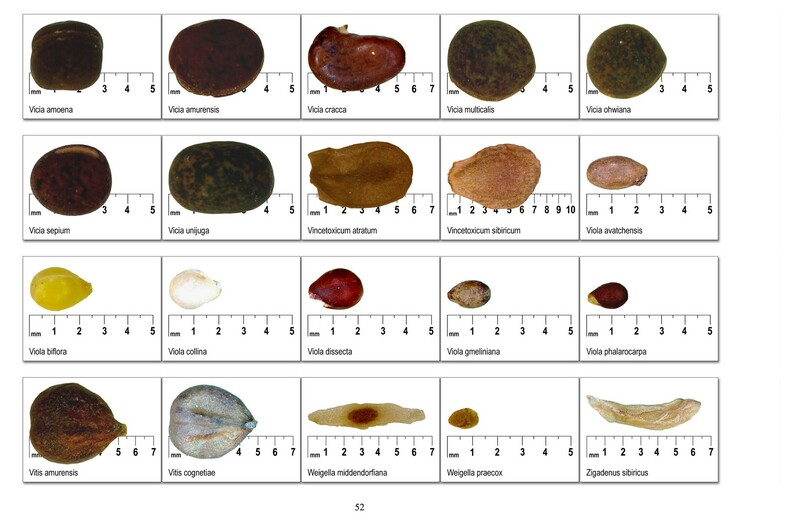 Atlas of plant seeds of the North Asia. 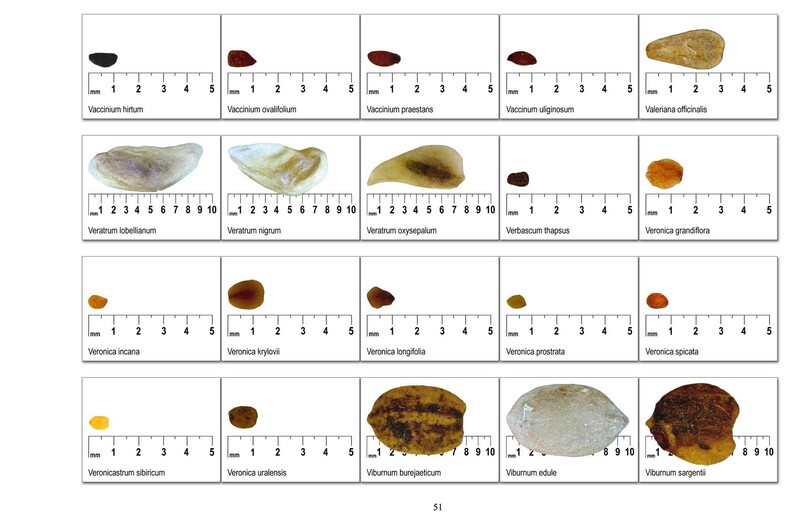 - Magadan NESC FEB RAS, 2015. 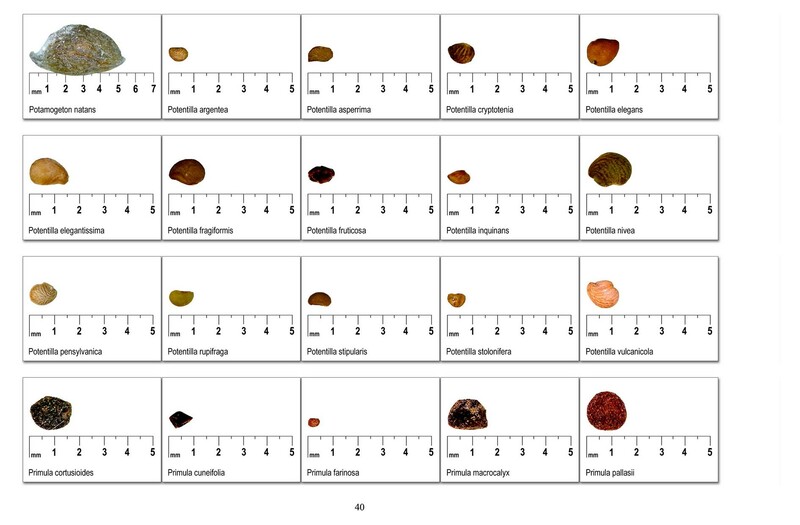 - 174 p., 43 col. fig. 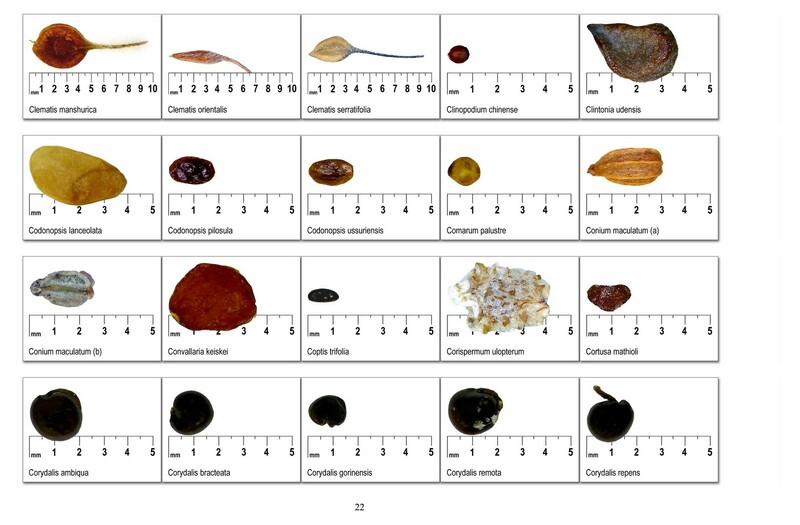 Bibliography: 40 references. 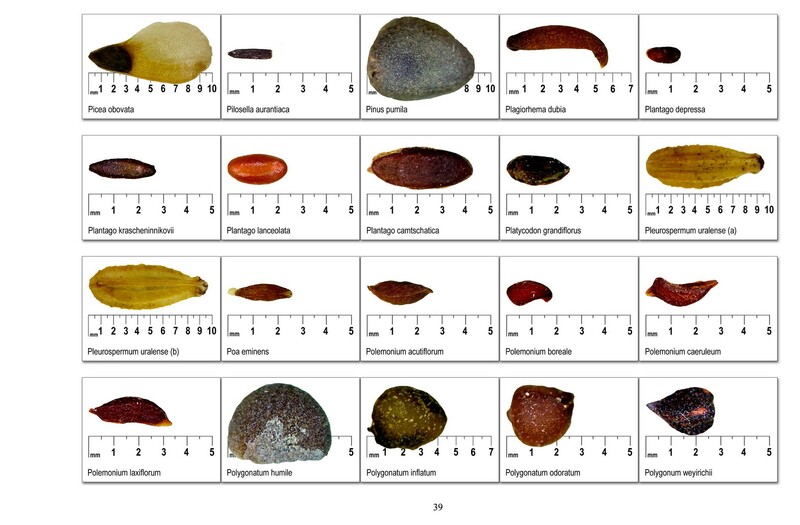 The 800 color photographs of the seeds of the vascular plants of the North Asia, captured with a digital microscope, are published for the first time. 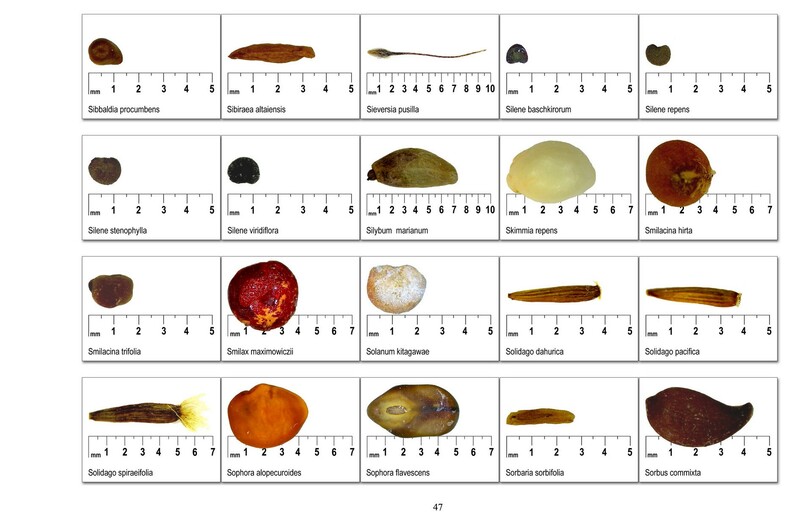 The basis for the photographic tables were the seeds of 773 species that are stored in the collection of seeds and fruits of Botany Laboratory of the Institute of Biological Problems of the North FEB RAS. 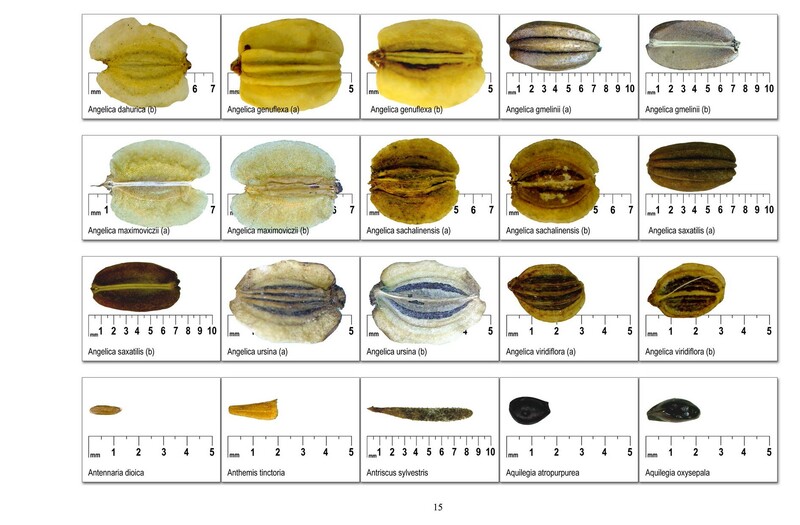 Megakarpii of 27 species of the family Apiaceae illustrated by two photographs for each species (top and bottom).The order of the seed meets the latin names of the species in the alphabetical order for ease. 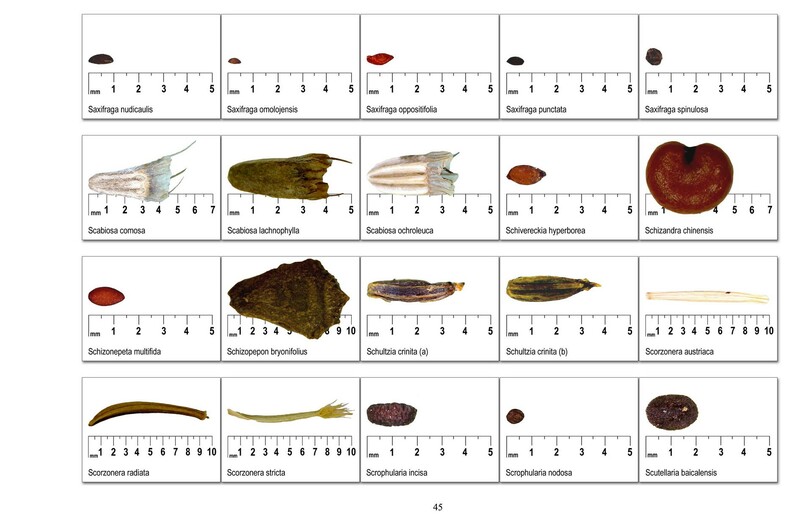 The characteristics of the distribution of the species in the North Asia. 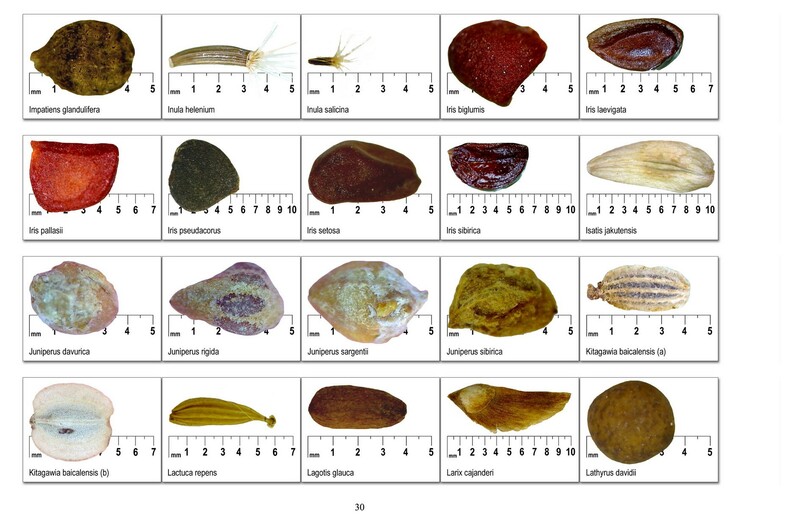 Information is also given about the distribution of the species outside of the North Asia. 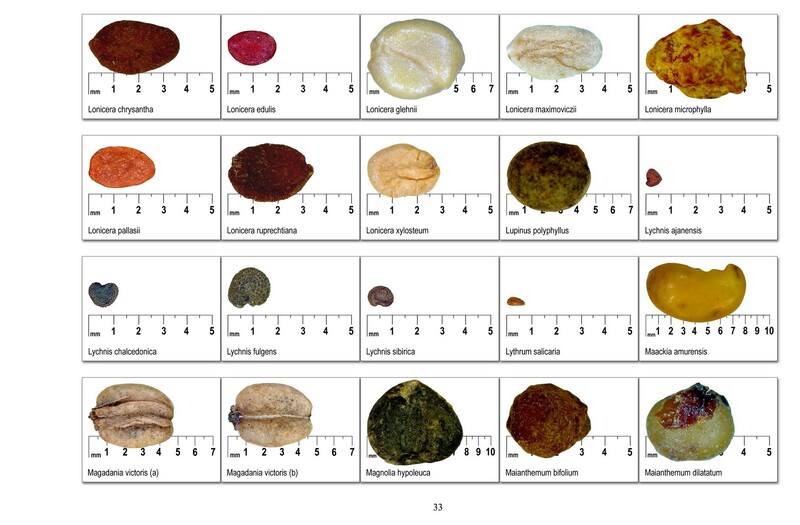 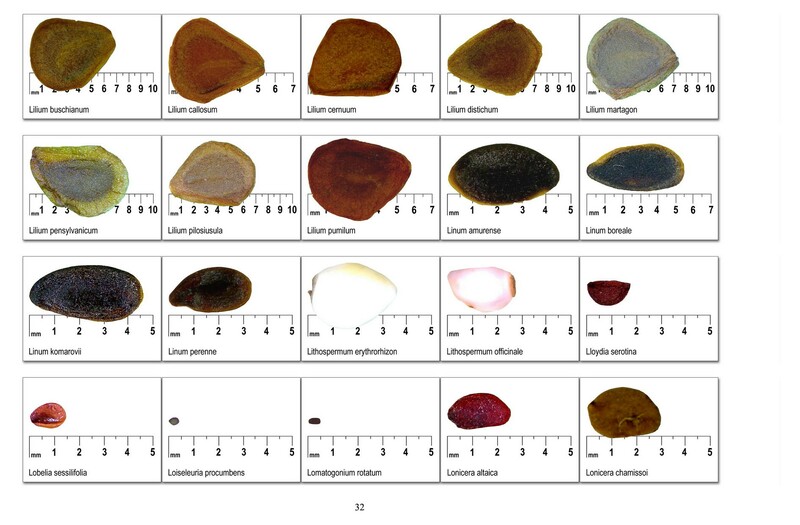 All photos were taken against the background of scale bar that allows you to get an idea of ​​the average size of the seeds, and color reproduction of the photos helps evaluate the color of the seeds. 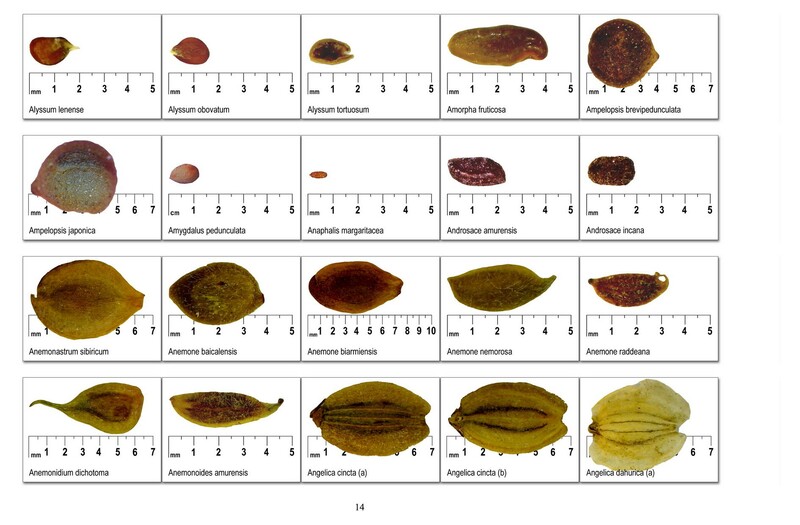 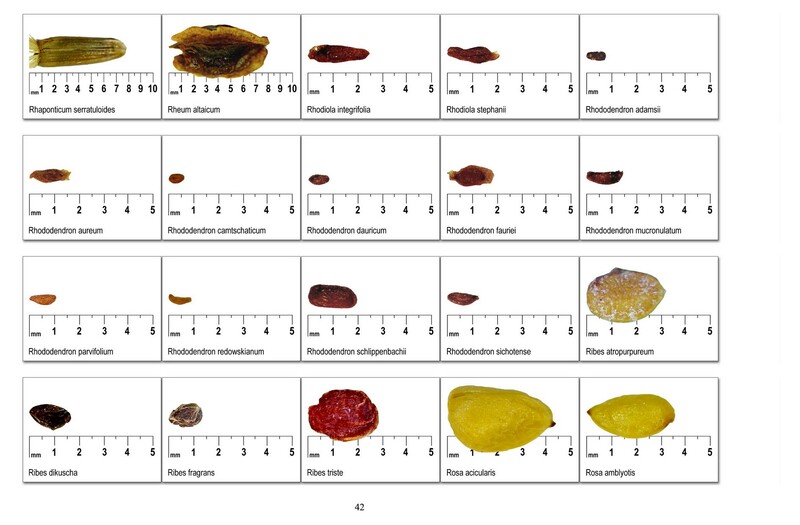 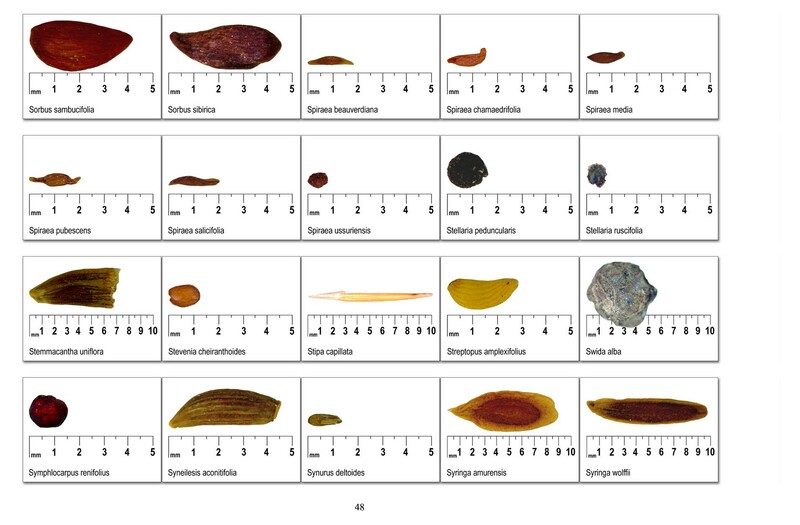 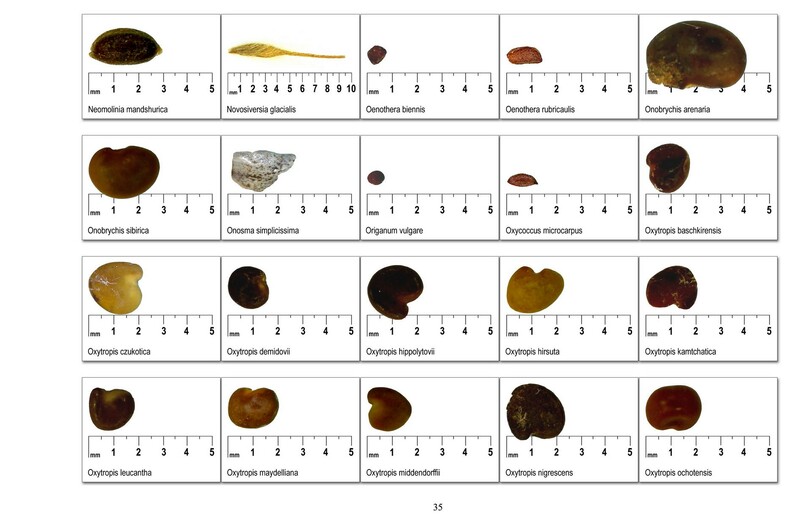 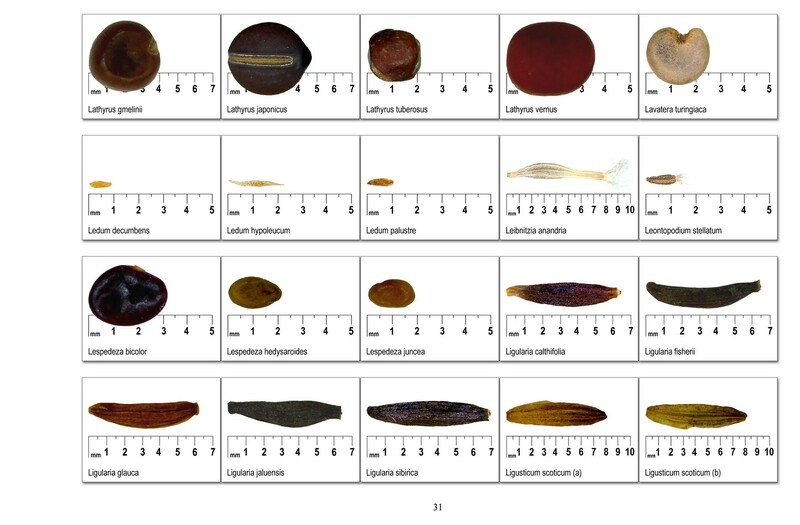 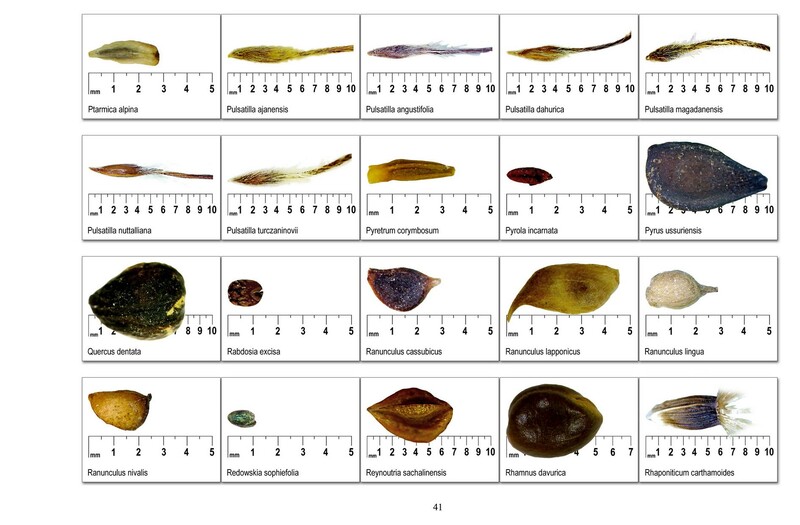 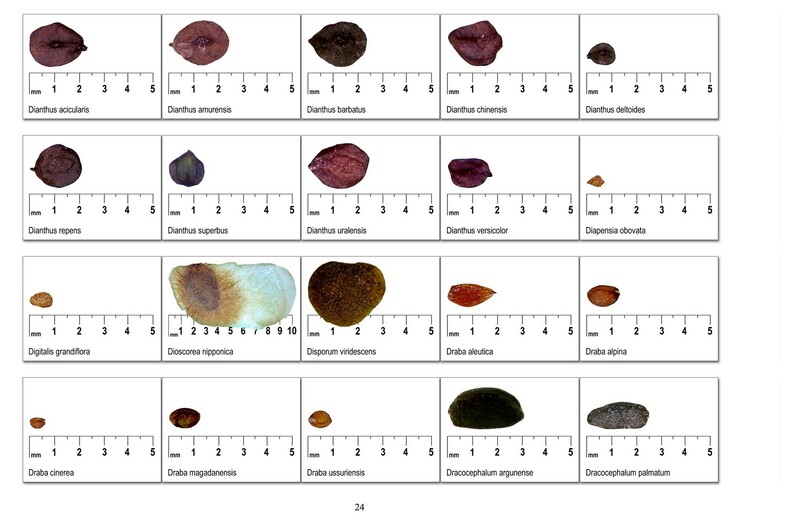 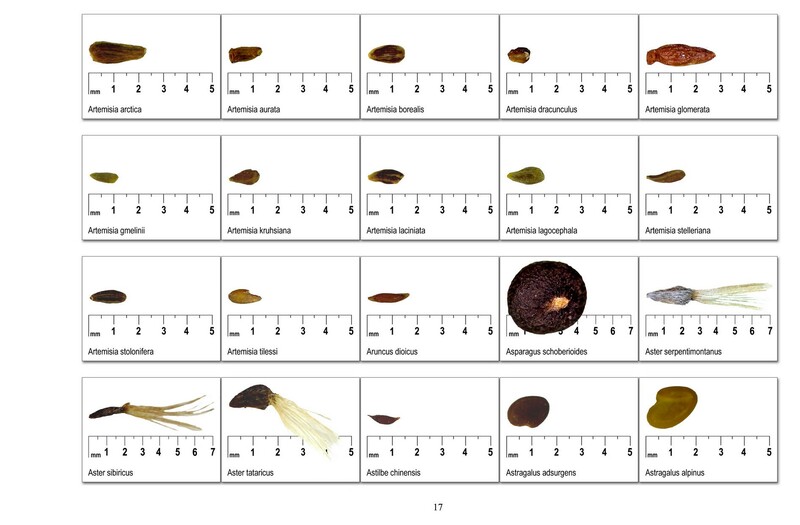 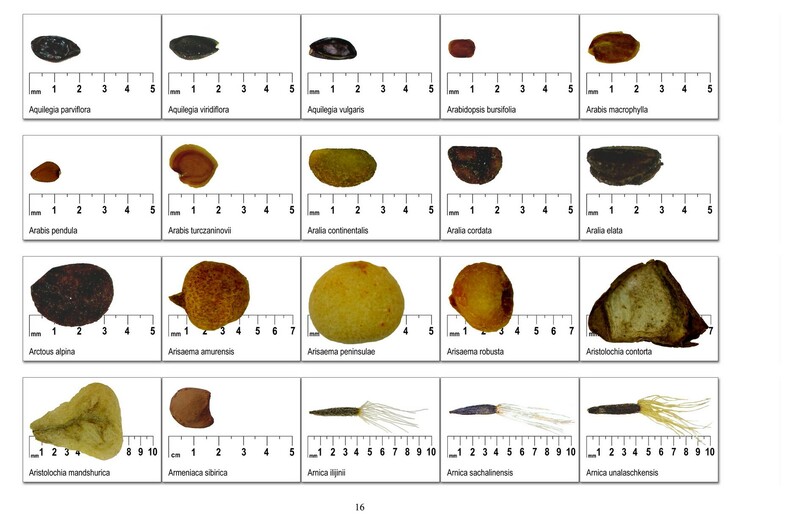 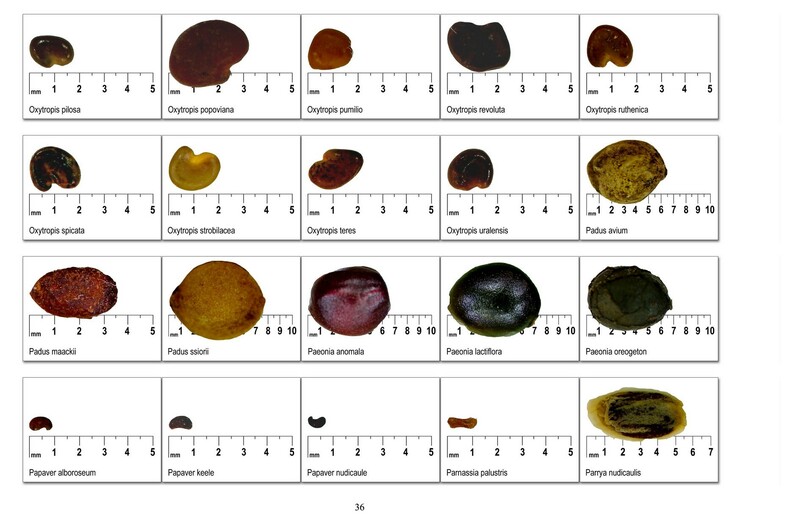 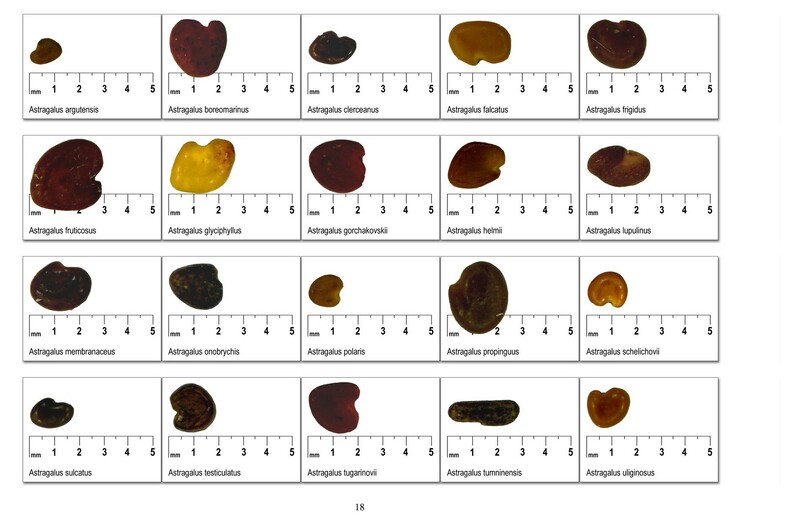 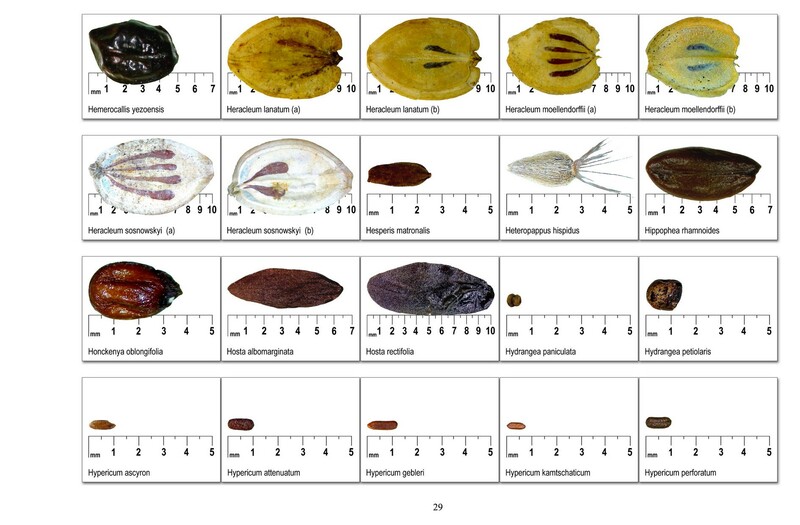 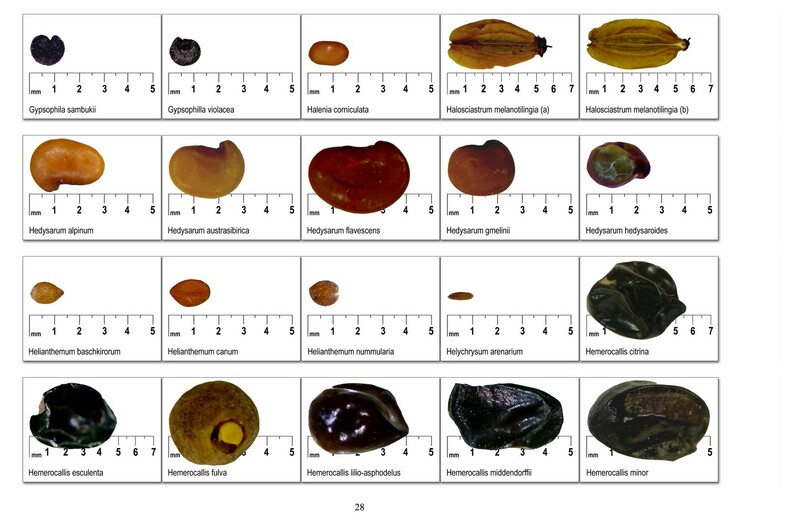 Atlas showing the morphology of the seeds can be used for diagnostic purposes of species and genera of the seed. 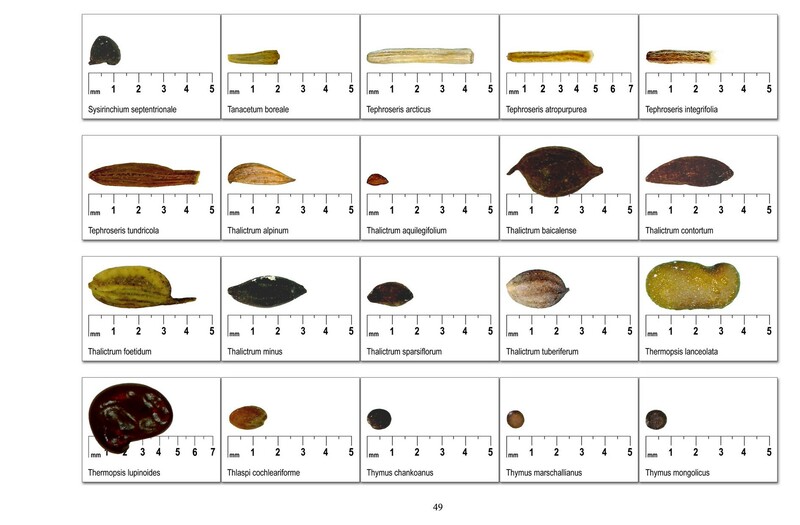 Another book by Dr. Berkutenko, "Woody Plants of Northern Sakhalin," is also available at US$25 (including postage).